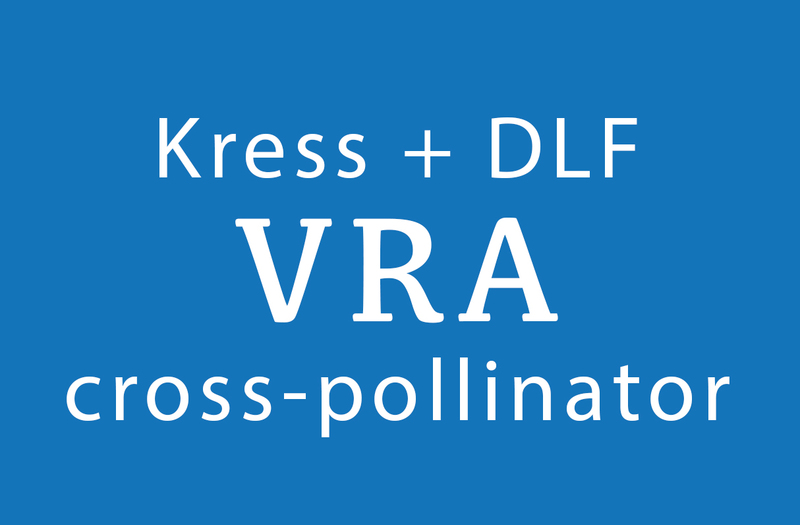 Alyssa Loera attended the annual conference of the Visual Resources Association (VRA) as a DLF Kress Cross-Pollinator Fellow. She was recently appointed Digital Services and Technologies Librarian at Cal Poly Pomona. Find her on Twitter @_AVarias_. Engaging with different organizations related to the Library, Archives and Museum (LAM) world offers a cross-disciplinary mode of inspiration. At this stage in my career I specialize mostly in digital imaging work. Attending VRA 34 exposed me to a section of the field that I was less familiar with, while still contextualizing the conference within my own sphere of reference. Through the cross-pollinator award I travelled to Kentucky for 3 days to engage with a more specific side of the field: visual resources. I anticipated some overlap as a Digitization Projects Coordinator, but I did not anticipate just how much advice the conference would offer a new professional in any sector of LAMs. I found most aspects of VRA 34 to be, if not directly applicable, then at least intriguing. The sessions that resonated most were the Putting Pen to Page workshop, and the opening convocation by Dr. Brent Seales, a renowned Computer Science professor from the University of Kentucky. These two sessions were completely opposite in size and format, but I walked away from both feeling inspired and motivated to dig deeper. Putting Pen to Page was taught by Beth Whitlow, Hannah Marshall and organized Maureen Burns. All three leaders created an inclusive and calm atmosphere, perfect for a workshop concerned with promoting professional confidence. There were perhaps fifteen people at most, all willing to contribute and participate. The workshop offered a comprehensive toolkit intended to assist in the writing for publication process so necessary when trying to grow in the LAMs profession. Being in a room full of people with the same concerns regarding professionally publishing is incredibly empowering. We talked out our individual writing processes, discussed our strengths and weaknesses, and developed ideas for potential publications. I left the workshop feeling like I was not the only one in the field with timidity towards writing professionally, and with a few ideas about my own work. His conversational manner of speaking, combined with the video, allowed for this audience of visual resources specialists to understand a particularly complex topic. I came out of the session with a renewed interest in imaging and how it crosses disciplines.